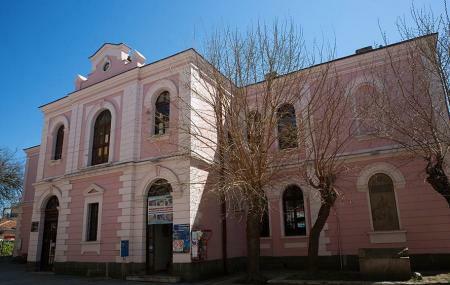 Find hotel near Burgas Archaeological Mus .. Collections at this museum cover multiple ancient civilisations such as Thrace, Greece and Roman. Most of the exhibits focus on the development of cities and sailing along the Black Sea Coast, right up to the period that the land was conquered by the Ottoman Empire in the 14th and 15th centuries. The museum is not a stand alone building. It’s part of the Regional useum of Burgas, a collection of 4 buildings that are all within a 4-5 minute walk from each other. Prices may be combined with visits to multiple departments of the Regional Museum as follows: Visit 2 museums for 6 BGN; Visit 3 museums for 8 BGN;Visit 4 museums for 10 BGN. How popular is Burgas Archaeological Museum? People normally club together Natural History Museum and Historical Exposition Museum Of Burgas while planning their visit to Burgas Archaeological Museum.